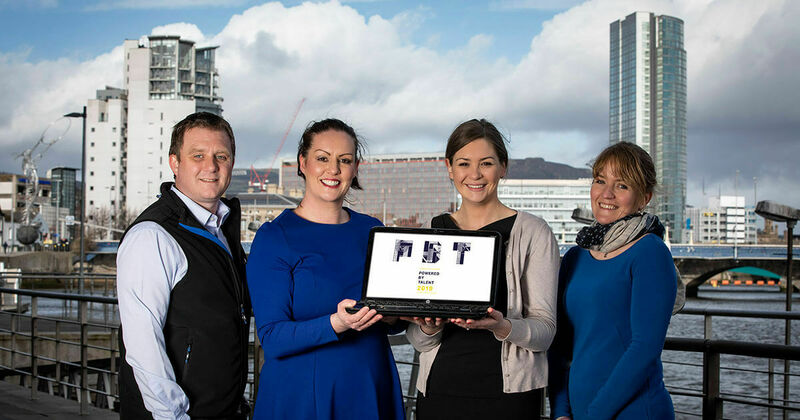 Pictured launching the Summit is , l-r , sponsors, Gareth McCullogh, VP of Engineering, SmashFly, Louise Gault, Senior Development Consultant, Think People, Cheryl Whitley, Senior Marketing Executive, Abacus Talent Group and Sarah McKeag, Recruitment Manager at EY. Justin Rush, founding member of Powered By Talent and Director of Abacus Talent Group, a successful Belfast based group of companies that focus on recruitment, consulting and outsourcing, said; "Talent attraction and retention remains one of the biggest challenges businesses face. We have seen the emergence of Northern Ireland as a powerful economic force. The attraction and retention of top talent is a boardroom challenge across Northern Ireland and Powered By Talent is an opportunity to hear from and engage in the discussion with some of the foremost thought-leaders in business and talent." Tickets for the Powered by Talent conference with early bird rates are currently available. For more information or to book tickets visit www.poweredbytalent.com.